There is nothing like fresh pasta. I have made gluten-free pasta before (Homemade Pasta) (Homemade pasta – Nut Free), but they had used eggs. This recipe is gluten-free and vegan. I am pretty excited about this recipe. I hope you enjoy it as much as we do. Add tofu turmeric and salt to food processor. Process until creamy and smooth. Add flour 1/2 cup at a time and process. Remove from food processor and form into a ball. Wrap tight in plastic wrap and let rest in the refrigerator for at least 30 minutes. You can even store it in the refrigerator overnight. 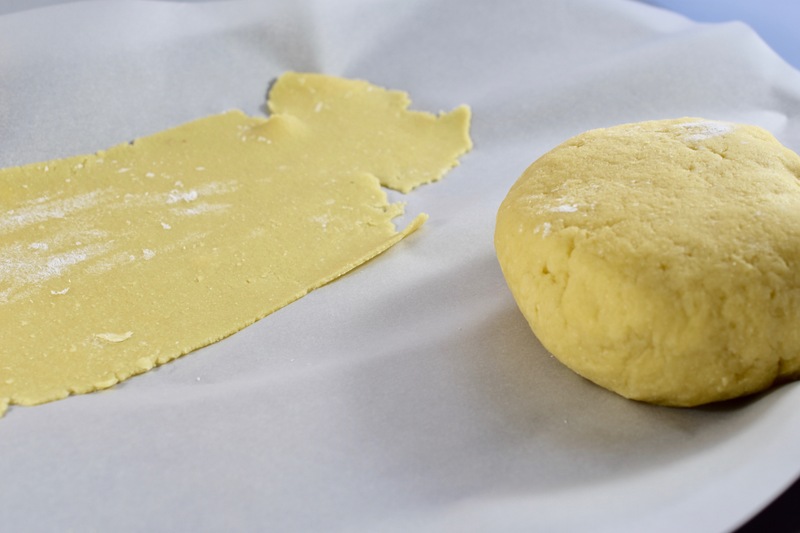 Note: If you do store dough in the refrigerator overnight, make sure you take the dough out of the refrigerator at least 30 minutes before you begin to work with the dough. Cut dough pieces into quarters and use pasta roller according to manufacturer’s directions. Looks amazing. Once you have rolled it out, how long do you cook it for? Is it fragile? i used it for manicotti so I baked it in the oven.for about 20-30 minutes. I will post the manicotti recipe tomorrow.